Oil Depot is proud to be a sponsor of the Father & Son Double H Motorsports Racing Team out of Bolivar, Missouri. 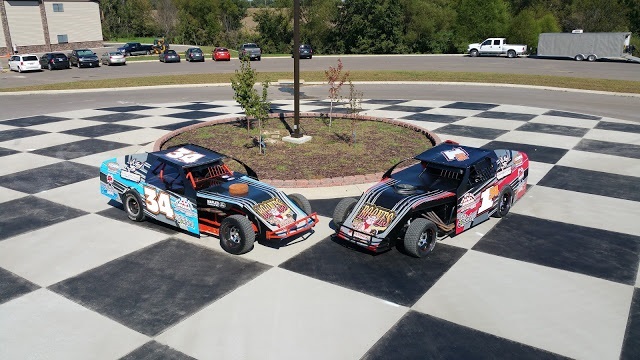 In 2014, Robert Heydenreich and his son Robert Heydenreich Jr. formed the Racing Team of Double H Motorsports, racing as a Dirt Modified Race Team throughout the state of Missouri. The Heydenreichs' have a long family racing history where the father Heydenreich spent many years in NHRA Drag Racing either as a driver or crew team member. Thus, his son was born into and around racing all his life. The Father & Son Team don't just own and drive the cars, they get their hands dirty fine tuning the cars for optimum performance and collaborating with other team members to gain a competitive advantage. Robert Jr., hopes to continue elevating his racing career as far as it will take him and is willing to put in the hard work to get there. The Heydenreich Team presently race in the B-Modified Class at Lucas Oil Speedway in Wheatland, Missouri and Dallas County Speedway in Urbana, Missouri. Robert Jr., would also like to include some racing at Central Missouri Speedway in Warrensburg, Missouri; Lakeside Speedway in Kansas City, Missouri; Caney Valley Speedway in Caney, Kansas; Humboldt Speedway in Humboldt, Kansas; Monett Speedway in Monett, Missouri; and North Central Arkansas Speedway in Flippin, Arkansas. They value upholding a professional image on and off the track and acknowledge a high priority in representing their sponsors' image as well. The Oil Depot Team would like to wish the Double H Motorsports Team a successful season.